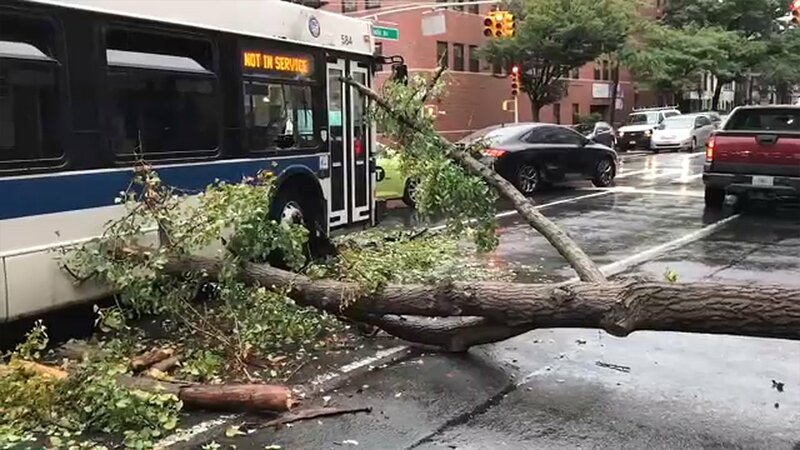 BOERUM HILL, Brooklyn (WABC) -- There was quite a scare for passengers onboard an MTA bus when a tree suddenly came crashing down on the roof. It happened on Atlantic Avenue in Boerum Hill, Brooklyn Tuesday afternoon. Fortunately, no one was hurt and everyone exited the bus safely. Weather is likely to blame for the tree falling.